Our Association comprises of members drawn from every type of educational establishment; Controlled, Maintained, Further Education, Integrated, Nursery, Primary, Special, Secondary, Grammar, High-School, Sixth Form College, Higher Education, Third Level, Adult Education, University etc. and from all the various Unions and Associations. R.T.A. is the only Association dealing solely with the concerns and needs of retired teachers. As an active member of the Public Service Pensioners' Council we join others who look after the interests of all retired public servants from all walks of life; Association of H.M. Inspectors of Schools, Association of H.M. Inspectors of Schools (Scotland), Association of Local Authority Chief Executives, Association of Magisterial Officers, British Broadcasting Corporation Pensioners' Association, Civil Service Pensioners' Alliance, Civil Service Pensioners' Alliance (Scotland), Forces Pension Society, Foreign and Commonwealth Association, National Association of Retired Fire-fighters, National Association of Retired Police Officers, Overseas Service Pensioners' Association, Prospect, Public and Commercial Services Union, Retired Police Officers (Scotland), Retired Prison Governors Association, Society of Education Officers, Unison and all the Teaching Unions in England and including EIS (Scotland). All Westminster MPs, MEPs and our local MLAs are kept fully informed as to the adverse effect current Government policy is having on pensioners. It is important that the 'grey' vote is heard. We can be the most influential group in the country. There are already more retired people than there are children in schools. We will soon form the largest group eligible to vote. You can directly change policies that are affecting your life at present and that certainly will in the future if your voice is strong. You may not have had much time to discover what living on a pension means but, as we get older we are no longer able to do all those little jobs, like cut the grass, paint the house etc., and what about what will happen when we are no longer in a position to care for ourselves and the prospect of Residential Nursing care looms? The cost of employing others to do these things is based on their wages not on your pension and, as holders of occupational pensions, most of us do not qualify for all those benefits which Government lauds! Everyone needs an adequate standard of living and particularly those in their retirement years. As corporate members of Age N.I., we again have a direct link to their advice and services, and with them, we can try to encourage Government to improve the circumstances of pensioners. We welcome your membership even if you do not wish to become actively involved. At present, we have over 3000 members but as we grow so will our strength and our influence. Membership is only £10 annually. It is deducted at source by the Department of Education from your December pension, so all you have to do is to fill in the application invitation which you will receive from the Hon. Secretary shortly after you retire. You can also download an application form using the Downloads button to the right. We have many members in various parts of the world and many of our most fervent members come from Eire and Europe. Indeed, those in South Africa certainly appreciate the work done by the Retired Teachers' Assocaition Northern Ireland and PSPC to try to get the Government to index link their pensions. You probably didn't know that if you choose to live in some areas abroad, your pension will remain the same even though if you are resident in U.K. it rises annually, albeit very slightly, at the moment? Join us and help us try to improve conditions for retired teachers. The greater our strength, the greater our influence. Already, all the political parties are realising that we have a voice. In fact, most of the changes envisaged for the future are as a direct result of lobbying by RTA and our affiliate organisations. Be one of the crowd. Don't just do nothing! 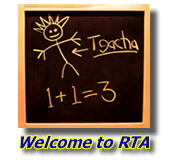 © 2008–2019 Copyright Retired Teachers' Association Northern Ireland. All rights reserved.